"GHOSTS" : RESEARCHING Real Ghosts In Photos, EVP'S and Communication, And Paranormal Phenomena ~ HauntedAmericaTours.com - PLEASE GHOST HUNT RESPONSIBLY! ALSO SEE: HAUNTED AMERICA TOURS BESTSELLER'S LIST! ALSO START YOUR PERSONAL REAL TIME SEARCH HERE FOR REAL GHOSTS ON THE INTERNET HERE NOW! Ghosts ~ Understanding, Researching, Investigating, Discussing Real Ghosts Photos, EVP's and Paranormal Activity. "People don't believe in real paranormal events, activity sightings and encounters with ghosts, for logical reasons." Ghosts research, evidence, and discussion often fills the many chat boards, forums and blogs of many web sites around the world. Definitive proof many believe is just the revealing of the next stunning or attention grabbing real ghost photo or EVP away. I personally believe that the real spirits and ghosts that haunt the living are there to guide us. I also believe that many are what is referred to as earth bound. Those poor lost souls that need awareness and answers to help them move on. In my many years of personal research into Seance's and communications with the dead I have come to many different conclusions because no two haunting's or individual ghosts are hanging around for the exact same reasons. But as always one real question always remains. Are ghosts real? The most terrifying experience I ever had involved the ghost of a woman who practiced Black Magic. Her home was very haunted and myself and 8 witness observed paranormal phenomena from objects moving on their own to hearing audible voices telling us to get out. I always have had many encounters with ghosts, spirits and demonic entities since I was a small child. But it was not until my adult years that I openly admitted to such as the paranormal became more mainstream. Please also see: Real Paranormal Terms here now. CLICK ON A THUMBNAIL BELOW TO VIEW LARGER GHOST PHOTO IMAGE AND READ THEIR COMENTS. WHO KNOWS YOU MIGHT JUST BE LOOKING AT THE REAL PARANORMAL PROOF YOU NEED TO BELIEVE IN GHOST AND LIFE AFTER DEATH! Once you open the large Ghost Photo image below - Please you the next button on each photo to move on to the next photo. PLEASE ENJOY THIS EVER GROWING GHOST PHOTO GALLERY COME BACK SOON AND SEE THE NEW ADDITIONS ADDED OFTEN! "Real ghost photos - real ghost stories." you decide! Please view these many images at your leisure. New Ghost Photos added often. Please come back for another visit Soon! DO YOU THINK ONE OF THE GHOSTS PHOTOS ABOVE IS ACTUAL REAL PHOTOGRAPHIC PROOF THAT GHOSTS DO EXIST? Ghost pictures show proof of real ghosts At least that's what many believe. Haunted America Tours has published as they do each year "THE BEST GHOST PHOTOS OF THE YEAR " and to me these are the most real ghost pictures I have ever viewed to date. These below represents what many consider definitive Ghosts, Energy Anomalies and the Unexplained caught on film or digital camera! I am not going to attempt to convince you that ghosts are real by looking at the photos presented here. I only want you to look and wonder are these that many consider the best evidence that ghosts do exist are then these particular ghost pictures real? Many love to view paranormal ghost pictures, ghost pics and ghost photos that are reported to be real, famous and even some that are fake! The fun is seeing if it sends chills down your spine or if you can figure out a logical explanation. Some of you reading this think it's too good to be true, to actually see a real ghost caught on film or video. Or maybe you think a real ghost picture or videos are just a modern myth. The best and most real life ghost pictures and ghost photos from over the years! These below are said to be photos of real ghost and cannot be disproved as such. Do you think they are real? Please also see: MYRTLES PLANTATION REAL GHOST PHOTOS? YOU DECIDE! Please also see: Your True Real Ghost Stories And Ghosts In Photos Submissions. A collection of stories, photos of the paranormal and unexplained that readers swear are true. People always want to see "Real Ghost Pictures" and paranormal photographs with anomalous captures. Ghost photos or often sent to hauntedamericayours.com and other sites to question have them verified as a real genuine Ghost Picture. And they always ask, ." Have I captured a real ghost on film" ? Reported real Ghost Pictures often appear in news columns are published in news papers world wide and on their ghost section of paranormal groups real ghost photo sections of their web site. You can submit your own real ghost photo to hauntedamericatours.com and see what the experts think to discover if it is real or not. Some of our most popular real ghost photographs are most taken by paranormal team of professional ghost hunters. But the best are usually those real ghost picture captures on film by people just like you! Many people have common real experiences with ghosts. From actual cold chills feelings of being touched or even hearing real sounds and voices speaking to them. As what we see and feel and learn through paranormal research we learn that it more then just running around in the dark with electronic equipment. Many hauntings and ghosts actually haunt people in the light of day. Many believe their personal quest is to just seek out, allegedly haunted locations, authenticate evidence of ghosts, research ghost stories, sightings and conduct investigations into paranormal activity. Much of this is self proof. Ghostbusters is a 1984 sci-fi comedy film about three eccentric New York City parapsychologists. After they are fired from a university, they start their own business investigating and capturing ghosts. The concept was inspired by Aykroyd's own fascination with the paranormal, and it was conceived by Aykroyd as a vehicle for himself and friend and fellow Saturday Night Live alum John Belushi. They're Here To Save The World! Own this classic on DVD today! Ghostbusters was released in the United States on June 8, 1984, starring Bill Murray, Dan Aykroyd, Harold Ramis, Rick Moranis, Sigourney Weaver, Annie Potts and Ernie Hudson. The film grossed approximately USD$240 million in the U.S. and over $50 million abroad during its theatrical run, more than the second "Indiana Jones" installment, making it easily the most successful film of that year, and the most successful comedy of the 1980s. The first film sparked the catchphrases "Who you gonna call? Ghostbusters!" and "I ain't 'fraid of no ghost(s)." Both came from the hit theme song written and performed by Ray Parker, Jr. The song was a huge hit, staying #1 for three weeks on Billboard's Hot 100 chart and #1 for two weeks on the Black Singles chart. The song earned Parker an Academy Awards nomination for "Best Song," losing to Stevie Wonder's "I Just Called to Say I Love You" for the film The Woman In Red. In 2000, readers of Total Film magazine voted Ghostbusters the 44th greatest comedy film of all time. Many believe this was the start to all the paranormal wonderment that television and the world knows today as professional ghost hunting. Also See: *New 20 Questions with Your favorite Paranormal Investigators, Authors and Ghost Tours. Each Week Haunted America Tours will spotlight them in our Paranormal Zone. BUT WHAT ABOUT THE REAL GHOSTBUSTERS IN THIS WORLD, WHO ARE THEY? "Known as The Top Best Paranomal Investigator in the World today!" 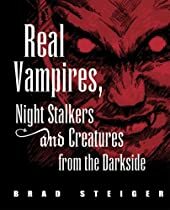 "The God Father of the Paranormal" is Professor Hans Holzer, Ph.D., Writer of 138 books on the supernatural and occult for the popular market as well as several plays, musicals, films, and documentaries and has hosted a television show. His extensive involvement in researching the supernatural has included investigating The Amityville Horror and some of the most prominent haunted locations around the world. He has also worked with well-known trance mediums such as Ethel Johnson-Meyers, Sybil Leek, Trixie Allingham. Holzer, is a leading authority in the field of the paranormal. He has earned his Ph.D. from the London College of Applied Science. He was a writer/producer and on camera personality on the popular NBC series "In Search Of..." as well as several other documentaries on the paranormal. Holzer a professional spiritual intuitive, writer and teacher; who lives in New York City. She comes from a long lineage of practicing Celtic psychics and healers. Her web site is a regularly updated resource of Holistic information concerning the development of the intuitive faculties. Merryn is also the editor and publisher of online Merlian News Magazine. America's leading full-time Parapsychologist. The scientific reality of parapsychological phenomena and the validity of scientific parapsychological research is a matter of frequent dispute and criticism. The field is regarded by critics as a pseudoscience. Parapsychologists, in turn, say that parapsychological research is scientifically rigorous. Despite criticisms, a number of academic institutions now conduct research on the topic, employing laboratory methodologies and statistical techniques, such as meta-analysis. The Parapsychological Association is the leading association for parapsychologists and has been a member of the American Association for the Advancement of Science since 1969. The Parapsychological Association was formed in 1957 as a professional society for parapsychologists following an initiative by J.B. Rhine. Its purpose has been "to advance parapsychology as a science, to disseminate knowledge of the field, and to integrate the findings with those of other branches of science." It holds annual conventions, which is reported in its Proceedings, and the proceedings of which are published annually as Research in Parapsychology. In 1969 the Association took a giant step in advancing the field by affiliating with the American Association for the Advancement of Science. The work of the association is a reported in the Journal of Parapsychology and the Journal of the American Society for Psychical Research. The Parapsychological Association was created in Durham, North Carolina, on June 19th, 1957. Its formation was proposed by Dr. J. B. Rhine (Director of the Duke Laboratory) at a Workshop in Parapsychology that was held at the Parapsychology Laboratory of Duke University. Using the occasion afforded by this wide representation of the field, Dr. J. B. Rhine, Director of the Duke Laboratory, proposed that the group form itself into the nucleus of an international professional society in parapsychology. The time could not have been more opportune nor the audience more receptive. Visit official web site here http://parapsych.org/. Its first president was R. A. McConnell, then of the Biophysics Department, University of Pittsburgh, and the first vice-president was Gertrude R. Schmeidler of the Department of Psychology, City College of New York. Rhea White was named Secretary Treasurer. Four others were elected to the Council, bringing the total to seven: Margaret Anderson, Remi Cadoret, Karlis Osis, and W. G. Roll. Some ghost hunters call themselves professionals, some experts and still others the ever learning students in this very haunted world. Here is a list of the very best in the world. Click on the one you wish to contact and go directly to their official or personal web site to contact them directly. Before there was SciFi reality-TV series, Ghost Hunters, the “real” paranormal/parapsychological investigators, Hans HolzerThe Warrens,Christopher Chacon, Loyd Auerbach, John Zaffis Jr. and William Roll were each, independently, conducting their own extraordinary research into all things considered paranormal such as ghosts and poltergeistsm possession and the otherworlds. As a result of television shows about the “paranormal”, many new self-proclaimed paranormal investigators and research groups have sprouted up all over the world. But make no mistake, today’s so-called paranormal researchers still cannot hold a candle to to the select few other world-renowned veteran paranormal experts that have been conducting field and laboratory investigations long before reality TV cast a spotlight into the otherside. William Roll was born July 3, 1926 in Bremen, Germany, where his father was American Vice-Consul. His mother was Danish and Roll attended Holte Gymnasium in Denmark. He enrolled at the University of California, Berkeley in 1947, and received the BA in 1949, majoring in philosophy and psychology. After a year of graduate work in sociology, Roll went to Oxford University, to do research in parapsychology under Professor H.H. rice until 1957. He received the M. Litt. degree for a thesis entitled "Theory and Experiment in Psychical Research," and was president of the Oxford University Society for Psychical Research. In 1957, Roll joined the staff of the Parapsychology Laboratory, Duke University, working under Dr. J.B. Rhine until 1964. During this period he made his first RSPK and haunt investigations, was appointed project director of the Psychical Research Foundation (PRF), and elected president of the Parapsychological Association. After Rhine's retirement from Duke in 1964, the PRF became a sponsored program at the Department of Electrical Engineering. In 1986, Roll was appointed Professor of Psychical Research and Psychology at West Georgia College (now the State University of West Georgia) with funding from the PRF. In 1989, he received the Ph.D. from Lund University, Sweden, for a thesis entitled "This World or That: An Examination of Parapsychological Findings Suggestive of the Survival of Human Personality After Death." Since 1990, Roll has been teaching parapsychology at the University as an adjunct professor. Roll has written more than 100 scientific papers, several articles for anthologies, edited 11 volumes of Research in Parapsychology, and written four books, The Poltergeist (1972), Theory and Experiment in Psychical Research (1975, his M.Litt. thesis), Psychic Connections (1995, with Lois Duncan), and Unleashed (2004, with Valerie Storey). In 1996 he received the Parapsychological Association's award for a Distinguished Career in Parapsychology. In 2002 he was awarded the Dinsdale Memorial Award by the Society for Scientific Investigation for his RSPK studies. Roll, W. G. (1968). Some physical and psychological aspects of a series of poltergeist phenomena. Journal of the American Society for Psychical Research, 62, 263-308. Roll, W.G. (1969). The Newark disturbances. Journal of the American Society for Psychical Research, 63, 123-174. Roll, W.G. (1970). Poltergeist phenomena and interpersonal relations. Journal of the American Society for Psychical Research, 64, 66-99. Roll, W.G. (2004). The Poltergeist. New York: Paraview (reprint of 1979 edition). Roll, W.G. (1993). The question of RSPK vs. fraud in the case of Tina Resch. Proceedings of Presented Papers: The Parapsychological Association 36th Annual Convention, 456-482. About RSPK. The Parapsychological Association, 43rd Annual Convention, Proceedings of Presented Papers, August 17-20, 316-332. Roll, W.G., Burdick, D., & Joines, W.T. (1973). Radial and tangential forces in the Miami poltergeist. Journal of the American Society for Psychical Research, 67, 267-281. Roll, W.G., Burdick, D., & Joines, W.T. (1974). The rotating beam theory and the Olive Hill poltergeist. In W.G. Roll, RL. Morris & J. Morris (Eds. ), Research in Parapsychology, 1973, (pp. 64-67). Metuchen, N.J.: Scarecrow. Roll, W.G., & Gearhart, L. (1974). Geomagnetic perturbations and RSPK. In W.G. Roll, RL. Morris & J. Morris (Eds. ), Research in Parapsychology, 1973, (pp. 44-46). Metuchen, N.J: Scarecrow. Roll, W.G., Maher, M., & Brown, B. (1992). An investigation of reported haunting occurrences in a Japanese restaurant in Georgia. The Parapsychological Association 35th Annual Convention, Proceedings of Presented Papers, August 9-13, 151-168. Roll, W.G., Moody, R, & Radin, D. (1996). Reports of hauntings at Dragsholm Castle, Denmark, and Engso Castle, Sweden. The Parapsychological Association, 39th Annual Convention, Proceedings of Presented Papers, August 17-19, 253-270. Roll, W.G. & Nichols, A. (1999). A haunting at an Army post. The Parapsychological Association 42nd Annual Convention, Proceedings of Presented Papers, August 4-8, 253-270. Roll, W.G. & Nichols, A. (2000). Psychological and electromagnetic aspects of haunts. The Parapsychological Association 43rd Annual Convention, Proceedings of Presented Papers, August 17-20, 364-378. Roll, W.G. & Persinger, M.A. (1998). Poltergeist and nonlocality: Energetic aspects of RSPK. Proceedings of Presented Papers: The Parapsychological Association 41st Annual Convention, August 6-9, 1998, 184-198. Roll, W.G., Sheehan, L.C., Persinger, M.A., & Glass, A.Y. (1996). The haunting of White Ranch. The Parapsychological Association Annual Convention, Proceedings of Presented Papers, August, 17-20, 279-294. Roll, W.G., & Stump, J. (1969). The Olive Hill poltergeist. Proceedings of the Parapsychological Association 6, 57-58. Stewart, J.L., Roll, W.G., & Baumann, S. (1987). Hypnotic suggestion and RSPK. In D.H. Weiner & RD. Nelson (Eds. ), Research in Parapsychology, 1986, (pp. 30-35). Metuchen, N.J.: Scarecrow. Christopher Chacon is considered a prominent authority on paranormal and supernatural phenomena, anomalies, metaphysics and the occult. In addition, he is a writer, director and executive producer for television, film, theatre and live-event attractions, as well as an author and performance artist, having begun his career in entertainment as a master illusionist/magician. A former field operative of The Office of Scientific Investigation and Research (O.S.I.R. ), Chacon has traveled the world, investigating and researching thousands of cases of every type of paranormal phenomena, including haunts and poltergeists, UFO close encounters, possessions/ exorcisms, miracles and divine intervention, all types of psychic/parapsychological phenomena, encounters with strange creatures and unexplainable anomalous phenomena. In entertainment, Chacon’s most notable creation is the dramatic-adventure TV series, "PSI Factor: Chronicles of the Paranormal", starring Dan Aykroyd, Michael Moriarity and Matt Frewer. As writer, creator/executive producer and director of this TV series, Chacon produced 88 episodes that are currently seen in over 30 countriesIn the early 1980’s, Chacon teamed up with Parapsychologist Loyd Auerbach and together formed a research team to investigate parapsychological and psychic phenomena. In 1989, Chacon was recruited by The Office of Scientific Investigation and Research (O.S.I.R. ), a well-funded private scientific organization with the sole purpose of assessing parapsychological and paranormal phenomena worldwide. It was O.S.I.R.’s advanced scientific training that additionally equipped Chacon with the skills to explore the vast amount of psychic and parapsychological phenomena he would encounter. Chacon travelled the world investigating and researching thousands of cases dealing with altered-states of consciousness and parapsychological and psychic phenomena, including; clairvoyance, psychokinesis, near death experiences, reincarnation, precognition, psychometry, remote-viewing, bi-location, channelling, mediumship and astral projection. He has also investigated thousands of cases of supernatural phenomena, including; possessions and exorcisms, haunts and poltergeists, miracles and manifestations of divine intervention. Additionally, Chacon has ventured on many expeditions, archaeological explorations and field research in various parts of the world involving ancient mysticism, metaphysical archaeological finds and obscure supernatural/occult practices. Because of Chacon’s experience in confidentially investigating and researching psychic phenomena, he continues to be inundated with requests for help and assistance from private individuals of all walks of life, celebrities, dignitaries, government agencies, corporations and high-ranking officials from all religions. Recognized as an authority, Chacon has been featured on countless TV and radio shows, including, "Unsolved Mysteries", "Sightings", "Dateline", "National Geographic Explorer", "The Other Side", "Eye to Eye with Connie Chung", "Discovery Channel", "The Tom Snyder Show", "20/20", "NBC, FOX, ABC, BBC and Japan’s Nippon Network News". Chacon was additionally a member of The American Society of Psychical Research, The American Association for the Advancement of Science, The Society for Scientific Exploration, Federation of American Scientists, The New York Academy of Sciences and The Center for Science Education. Besides his work in parapsychology and psychic research, Chacon makes his living as a Creator/Writer, Director, Executive Producer and Performer for television, motion pictures and live-stage theatrical productions. When not working in entertainment or parapsychology, Chacon is involved with several humanitarian and environmental causes. He currently resides along California’s central coast. Founder of the largest paranormal research group in the state of New Jersey with over 600 plus members to date. THE FOLLOWING LIST OF THE LEADING TOP PARANORMAL INVESTIGATORS ENCOMAPSESS THOSE IN THE FIELD WORLWIDE AND IS IN ALPABETICAL ORDER. His 2004 releases were GHOST HUNTING: How to Investigate the Paranormal and HAUNTINGS & POLTERGEISTS: A Ghost Hunter’s Guide (Ronin Publishing). His first book, ESP, HAUNTINGS AND POLTERGEISTS (1986, Warner Books) was named the “Sacred Text”` on ghosts by NEWSWEEK (in August, 1996). PSYCHIC DREAMING (1991, Warner Books; 1999 Barnes & Noble Books), deals with the current understanding of dreams in general and psychic dreams in particular. His third book, REINCARNATION, CHANNELING AND POSSESSION, was published by Warner Books in April, 1993. MIND OVER MATTER (Kensington Books, 1996) focused on the limits human beings set for themselves and on psychokinesis. Author, Lecturer, and Investigator. The official Web site of Ghostvillage.com founder, author, and lecturer, Jeff Belanger. Read his Blah Blah Blog, check out his book and lecture schedule, and interact. Jeff Belanger was first introduced to ghosts and the supernatural at age ten, when he and some friends took a Ouija board to a known haunted house in Newtown, Connecticut. He has been writing about ghosts and the supernatural since 1997 when he first interviewed renowned ghost hunters Ed and Lorraine Warren. In 1998, he was tapped to research and write the script for a documentary film on Dudleytown -- an abandoned ghost town in the hills of northeastern Connecticut. The documentary project was never sold, so he took the research and wrote the definitive work on the history and haunting's behind this legendary Connecticut town. That article would be the impetus for Belanger to start www.Jeffbelangere.com. American broadcaster and author, known primarily as the founder and a longtime host of the paranormal-themed radio program Coast to Coast AM. He also created and formerly hosted its companion show, Dreamland.Semiretired from Coast to Coast AM, he returned from his hiatus from hosting the weekend broadcasts, but then took another leave while technical problems were worked out. Bell also owns oldies station: KNYE 95.1 FM ("The Kingdom of Nye ... Things That Go Pahrump In The Night") in Pahrump, Nevada.Between June and December of 2006, Bell broadcasted Coast to Coast AM from Metro Manila in the Philippines. "THE MOST HAUNTED WOMAN IN CALIFORNIA"
Erika Frost is a paranormal media personality and psychic. She has been seen on such TV shows as the Sci Fi Channel's "Ghost Hunters," the Travel Channel's "Most Haunted," KCAL Channel 9's "Lisa's It List," "Tyra Banks," LifeTime's "Gay,Straight or Taken," and National Geographic and Discovery's "Haunted Ships". More recently she has been heard on international radio on "Coast to Coast AM With George Norry" and has been featured in various newspaper and magazine articles. Frost has always been intrigued by the paranormal world. As a young child, she was able to make contact with the Other World. As she grew, she had an increasing sense of her gift and started a journey into the astral realm through astral projection. Through meditation she has developed a strong connection and understanding of the beautiful world of angels and fairies, in which she communicates with through card readings. Erika is now using her gift aboard the Queen Mary to make contact with the ghosts that inhabit the ocean liner via Friday and Saturday "Dinner and a Ghost Tour" events. Through this tour you will learn first hand how to acknowledge and communicate with the many different spirits aboard, as well as, developing an understanding of the science behind the dead. Research and investigation of a wide range of topics, which been have featured in more than 30 books and encyclopedias, hundreds of articles and numerous presentations. New Orleans native who has studied paranormal activities, the occult and hauntings for nearly thirty years. She has participated in and conducted large-scale location hauntings and recently has shifted her focus to include the investigation and study of haunted toys such as dolls, toy furniture, games and other hallmarks of childhood. Gina’s paranormal studies stem from several childhood experiences with the unknown including witnessing full body apparitions and clairaudient encounters with deceased relatives. These experiences continued beyond childhood and this is when Gina resolved to learn as much as possible about psychic and paranormal phenomenon to determine what, exactly, was making contact with her and with others who claimed to have been contacted from the Other Side. Gina owns and operates a construction and refurbishment company in the Greater New Orleans area and this has afforded her exposure to many allegedly haunted locations and people over the years; several of these clients welcomed Gina’s expertise and insight when it came to documenting and investigating their haunted homes and businesses. GINA LANIER LOVES ANSWERING ALL YOUR QUESTIONS AND IS TRAVELING OFTEN TO INVESTIGATE HAUNTINGS SO PLEASE... Email her here directly at this contact address: mskitowhawk@cox.net. Or visit her Website at: www.ginalanier.com. Has a background in paranormal investigations as well as promotions. She has held large-scale investigations of documented haunted sites as well as smaller private investigations of homes and businesses. "We respect and honor requests for confidentiality from clients and conduct ourselves in a professional manner at all times." Currently, Shannon is a florist/event planner for "A Florist Naturally": www.AFloristNaturally.com. does Boudoir photography: www.SnMProductionsCo.com. And gives singing lessons. She is enjoying her time with H.P.I. Paranormal and looks forward to meeting many more "REAL" ghosts in the future! Certified Ghost Hunter,The ARC ~ Alternate Realities Center Founder and Director Appalachian GhostWalks Tour Director and Ghost Guide With Over Twelve Years Experience In Paranormal Investigations. In recent interview, the founder of The ARC has express that to describe me, is to describe my work. The ARC explores the world of unexplained mysteries, engaging phenomena that do not necessarily fit conventional scientific models, while maintaining a strong commitment to scientific methodology and procedures with efforts to focus on the Human equation. Our mission is to continuously represent new inspiration for new paradigm thinking and ideas in an effort to bring about new directions for the potentials of human consciousness, while bringing about a broader sense of self-awareness. Our primary purpose is the attempt to present data and scientific evidence that will alter the 'paradigms' of our modern society. Those who are not familiar with this term will be happy to know that a 'paradigm', in its most basic sense, is a 'mental map'. It is the way we perceive, understand, and interpret the world around us. It may also be defined as the accepted 'truth' about the way all things are suppose to be, or behave. Author, Historian & Paranormal Investigator. It could be said that Mark Nesbitt’s first ghost investigations took place in the 1970s when he was a National Park Service Ranger at Gettysburg. Over the years since the battle, stories of scores of sightings, stranger than reality, have emerged from the quaint houses and gentle fields in and around the town of Gettysburg: Stories of sightings of these soldiers, moving again in battlelines, across the fields where they once marched. . . and died; tales of visions through a rip in time into the horrible scene of a Civil War hospital; whispers of a look at men long dead held eternally captive by duty. These apparitions -and more- come back to remind us, in one way or another that they are not to be forgotten for what they did here. . . Creator and host of the Haunted Haight Walking Tour www.hauntedhaight.com. He also in the founder and President of the San Francisco Ghost Society, a paranormal group that researches claims on of the supernatural in the city of San Francisco. Tommy is often called a "ghost historian" for his passion for researching the history of ghosts. Come discover the macabre history of San Francisco and learn all about the ghosts of Haight-Ashbury .Email: hauntedhaight@yahoo.com. Also see: Tommy Netsband info here! - Ghost Writer: Paul Dale Roberts served in the US Army from 1973 to 1976 working with C.I.D. (Criminal Investigation Division), D.S.T. (Drug Suppression Team). From 1979 to 1986 he re-enlisted in the US Army, but this time with Military Intelligence as an Intelligence Analyst with the Photo Interpretation Center in Seoul, Korea. Later Paul became an OPFOR (Opposing Forces) Soviet Threat Instructor teaching elite troops like the Navy Seals, Army's Special Forces, Army's Airborne Rangers on how to use a variety of Soviet made weapons. Paul has also been involved with the entertainment industry as a professional dancer and doing dancing appearances in movies and commercials during the 70s and 80s. Paul is now involved in the promoting of aspiring writers and artists who are trying to break into animation and comic books through his website Jazma Online! www.jazmaonline.com In fact his 1996 comic book The Legendary Dark Silhouette is being prepared to be made into a movie by independent movie producer Howard Nash and the first internet ad for the movie can be seen here :www.jazmaonline.com/lds_movie.asp Paul is a freelance writer and has written travel articles, comic book reviews, paranormal stories on ghosts and UFOs. "THE BEST EVP PARANOMAL INVESTIGATION EXPERT IN TEXAS!" Investigator, EVP specialist, author, and founder/webmaster of www.paratexas.com. As a paranormal Investigator, Rich was naturally led into the study of Electronics Voice Phenomena because of his background in electronics, beginning with schooling and service with US Naval Intelligence (aviation) in the operation and maintenance of audio and video analysis systems of radio and radar signals. Patti has been involved in ghost hunting for years and decided in 1996 to formally organize her own group of ghost hunters. Fulltime shop owner, the Ghost Hunter Shop, located at 835 Porter Place, Lexington, KY, 40504. Hours of operation 9:00 am - 4:00 pm., Monday through Friday and 10:00 am - 2:00 pm on Saturday. Call 859-576-5517 for further information. She is currently teaching “Introductory to Ghost Hunting” and “Advanced Ghost Hunting” at the Bluegrass Community and Technical College. "The most respected paranomal Investigator in America"
Dr. Barry Taff earned his doctorate in psychophysiology with a minor in biomedical engineering from UCLA. He holds six medical patents. From 1969 through 1978 he worked out of the former parapsychology laboratory at UCLA's Neuro-psychiatric Institute as a research associate where he studied telepathy, precognition, and remote viewing. Dr. Taff has consulted for the Department of Defense, the CIA, NSA, FBI and other agencies vital to national security and is to this day bound by a national security agreement. With regard to paranormal research, Taff investigated more than 4000 cases, spanning 40 plus years, of alleged poltergeists, UFO’s, doppelgangers demonic possession and haunting. His most famous case became the best selling book and motion picture, “The Entity”. One of the cases Dr. Taft investigated in 1974 gained international fame as the book and motion picture, The Entity, staring Barbara Hershey, released by Fox in 1983. Dr. Taft served as technical director on The Entity as well as being represented in the film by the character, “Gene Kraft”. What’s unknown by themedia is the fact that, in real life, The Entity followed its femalevictim for quite some time after our initial investigation,continuing its vociferous nature. The victims current whereaboutsor condition is unknown. Dr. Taft has appeared on numerous TV and radio programsincluding CBS News, KNBC News, Strange Universe, Unsolved Mysteries, The Joan River’s Show, A current Affair, Hard Copy,Sightings, Judge for Yourself, The Extraordinary, The Montel Williams Show, The Wil Shriner Show, The Suzanne Somers Show, was a recurring guest on NBC’s The Other Side, Haunted History, Mysteries & Scandals, ABC’s World’s Scariest Ghosts Caught on Tape, The Girls Next Door and most recently the Sci-Fi Channel’s An Unknown Encounter & California’s Most Haunted (highest rated shows in Sc-Fi’s history) for which Dr. Taft also served as creative consultant and technical advisor. Born in Asheville, North Carolina, Joshua P. Warren has lived in the Blue Ridge Mountains his entire life. At the age of 13, he wrote his First published book. Since then, he has had nine more books published, including the regional best-seller, Haunted Asheville, and How to Hunt Ghosts (released by Simon and Schuster), and is the president of his multimedia productions company, Shadowbox Enterprises, LLC. His articles have been published internationally, and he has been covered by such mainstream media as CNN, Fox News, Southern Living, Delta Sky, FATE, New Woman, The New York Times, FHM and Something About the Author; and made the cover of the science journal, Electric Space Craft. A winner of the University ofNorth Carolina Thomas Wolfe Award for Fiction, he wrote columns for the Asheville Citizen-Times from 1992 to 1995. His first novel, The Evil in Asheville, was released in 2000. He has consulted for government, business, and law enforcement, including the Central Intelligence Agency (CIA), Office of Naval Intelligence (ONI), National Security Agency (NSA), Defense Language Institute (DLI), Defense Intelligence Agency (DIA), Defense Advanced Research Projects Agency (DARPA), the FBI, Interpol, LAPD, California Highway Patrol, Santa Barbara Sherriff’s Department, and the Westminster Police Department. He has served as a technical advisor or script doctor on the films Logan’s Run, Demon Seed, Altered States, Poltergeist, and the Entity. Dr. Taft has written numerous articles for magazines and journals, and has been featured in many books on the paranormal subjects ranging for precognition to UFO’s. A well-known paranormal investigator who has appeared on television and is the nephew of Ed and Lorraine Warren. This led into John's involvement with cases of possession and exorcism and working with prominent exorcists in this field. Roman Catholic priests, monks, Buddhists, rabbis and ministers. Heads the Paranormal and Demonology Research Society of New England which he founded in 1998. Zaffis has over thirty years experience as a paranormal investigator. He spent his first years learning from his uncle and aunt Ed and Lorraine Warren the world famous demonologists. What he learned from his aunt and uncle went far beyond his original interests in ghosts and haunted houses. He became interested in demonology which led into Zaffis's involvement with cases of possession and exorcism and working with prominent exorcists in that field. He has worked with Roman Catholic priests, monks, Buddhists, rabbis and ministers. Zaffis has also taken part and assisted with the work of such well-known exorcists as Bishop Robert McKenna, Malachi Martin and the Reverend Jun. His first book is Shadows of the Dark which was co-written with Brian McIntrye. His second book The Trouble Within is due out in the Fall of 2006. He has appeared on the radio show Coast to Coast in June of 2005 and on the morning of February 10, 2006. During an exorcism in which he assisted in he witnessed a woman levitate out of a chair. It took five people to hold her down. Zaffis has made appearances on Unsolved Mysteries, the Discovery Channel documentaries, Little Lost Souls and Haunting in Connecticut. Currently he co-hosts the Paranormal Nights radio show with Brendan Keenan. He runs the Museum of the Paranormal located in Stratford, Connecticut. If there is anyone you feel who should be on this Paranormal Investigator, Ghost Hunter list please forward their info to us here. Ghost hunting has grown into an international industry with high tech gadgets aimed at not only catching images. Ghost Mania has made us all more aware of what a ghost and paranormal activity is supposed to really be. Well Haunted America Tours Visitors you have voted and picked these shows as your most and best favorite shows to watch! Haunting Evidence is an American documentary television series following the travels of a psychic profiler, a medium, and a paranormal investigator. The trio travels the United States investigating "cold case" homicide and missing persons cases. The series began production in October 2005 and premiered on Court TV in mid-June 2006, with a run of nine episodes. Season 2 began on June 20, 2007. Episode 107 "Mystery in the Desert" from season one has been closed, with the perpetrator of the crime Gabriel Avila linked to Sepich via DNA evidence. Many feel the show could be carried by the great patrick Burns alone. the man knows his stuff and is very passionate about what he does. This deep intensity and serious altitude is what makes may love the show and why they voted it to number 1. Today when you say the word Supernatural. It is as if you are only referencing to an American horror television series regarding the paranormal. US TV series. Supernatural - The Complete First Season Buy it here now! The American series follows the brothers Dean and Sam Winchester, played by Jensen Ackles and Jared Padalecki, who travel across the country in a black 1967 Chevy Impala investigating and combating paranormal events and other unexplained occurrences, many of them based on folklore, myths, and American urban legends as well as classic supernatural creatures such as vampires, werewolves, and ghosts. Eric Kripke, the series' creator, cites Neil Gaiman's The Sandman and American Gods as influences on Supernatural, along with American Werewolf in London and Joseph Campbell's The Hero's Journey. Supernatural - The Complete Second Season Buy it here now! The plot of the series has evolved over time, beginning initially with the Winchester brothers, Sam and Dean, looking for their father throughout most of season one. Once they find him, the show becomes about killing Azazel, the yellow-eyed demon responsible for the death of their mother. This is accomplished, but not until after Azazel's plans are completed and a door to Hell is opened, although only momentarily, releasing a horde of demons into the world. This event also sees the death of Sam, who is subsequently resurrected by Dean selling his soul at the end of season two. In the third season, the plot of the show focuses on trying to save Dean from his deal. Along the way, they meet a demon named Ruby, who has an interest in Sam and claims to be able to help save Dean, as well as Bela Talbot, an "acquirer" and seller of occult objects who is constantly a thorn in their side. The brothers eventually manage to track down the demon who holds Dean's contract, a powerhouse named Lilith who also wants Sam dead. However, Sam and Ruby ultimately fail to save Dean, who is killed and sent to Hell. Season four begins with Dean, miraculously returning from Hell, awakening dazed and confused in a grave. He was apparently rescued by a supposed angel named Castiel on orders from God. Sam on the other hand, has further developed his abilities with the help of Ruby during the months that Dean has been dead. It is soon revealed that Dean was revived to help stop Lilith's plan of breaking the 66 seals, which would let Lucifer walk free once again. Supernatural - The Complete Third Season buy it here now! The yellow-eyed demon is vanquished, but at a terrible price. The battle that brought him down released hundreds of demons from Hell into an unsuspecting world. And it cost Sam his life. But a grief-stricken Dean made a deal with the Crossroad Demon – his soul for Sam's resurrection. Now Dean has just one year to live. One year to fight the unholy, the twisted, the ghoulish. One year to say farewell to Sam. And one year for Sam to search desperately for some way to save his brother. Mind-bending adventure awaits as the Winchester brothers continue their astonishing odyssey into the supernatural...and their personal odyssey into destiny. A Haunting is an American television series that airs on the Discovery Channel and Discovery Science channel. The series' episodes are comprised of narrations and dramatic reenactments based on various accounts of paranormal encounters and experiences. A Haunting originally aired in 2005 and has since produced four seasons totalling 39 episodes. From Florida to Edinburgh, the "Ghost Adventures" team travels the world seeking the ultimate spiritual experience. Paranormal investigator Zak Bagans and his crew, Nick Groff and Aaron Goodwin, search for haunted locations both domestically and internationally. Host and Lead Investigator Bagans, along with his paranormal investigation team, travels to both domestic and international locations rumored to be haunted in search of evidence proving the existence of the supernatural. Investigator With his detecting equipment and an expertise gained through experience, Groff will be locked in some of the most sinister locations from dusk to dawn to investigate and capture evidence of the paranormal. Cameraman and Equipment Technician Goodwin travels to both domestic and international locations alongside his paranormal investigation team in order to prove the existence of the supernatural. An Oregon native, Aaron moved to Las Vegas where he fell in love with film and taught himself how to edit and operate a camera. Aaron gained experience by working as a cameraman on numerous TV shows over the past nine years. He has worked on projects ranging from red carpet movie premieres to sporting events. Filming is a passion for Aaron, and he's always armed with a camera. Many love this show for the exacting realness and honest emotions and intensity of Bagans and the crew. Many hope this show has a very successful long run. And Aaron Goodwin is the stand out Team member everyone just loves! Mystery Hunters is a Discovery Kids program. It is also seen on YTV in Canada. Teenaged hosts Araya and Christina investigate real-life reports of mysteries such as ghosts, monsters, vampires and UFOs. They use scientific rigour to try to find plausible explanations for the sightings and eye-witness accounts that trigger their investigations. In another section of the show, Doubting Dave, a scientist played by David Acer, attempts to explain mysterious personal experiences that have been emailed in by viewers, in a feature called "V-Files". Produced by Apartment 11 Productions, four seasons and 78 episodes of the series have been made, and it has garnered awards and accolades from around the world, including eight Gemini Award nominations, a 2006 Parents' Choice Award, and a 2007 Japan Prize (sponsored by the Japanese television network NHK) for the "Stonehenge" episode, awarded the Minister of Internal Affairs and Communications Prize in the Early Education category. Most Haunted is a British paranormal television programme based on investigating purported paranormal activity, although a 2005 OFCOM ruling stated that Most Haunted was "not a legitimate investigation into the paranormal, and should not be taken seriously". It is shown on the satellite and cable channels Living, Living2 and Virgin 1 (Formerly Ftn), primarily for the UK market. It is also shown in the United States on the Travel Channel, on the W Channel in Australia and Canada, TV4 Plus in Sweden, Sub (TV channel) in Finland and Stöð 2 in Iceland. It is produced by Antix Productions, led by Yvette Fielding and her husband Karl Beattie. Could you lock yourself in a haunted location for 24 hours? Well that's just what the Most Haunted team does. The crew investigates some of the scariest places in Europe, attempting different methods and experiments to try and communicate with the dead, and prove the existence of life after death. Ancient Ram Inn - Witchcraft, human sacrifice, and an incubus await the Most Haunted team at the Ancient Ram Inn. Feeling far from welcome in these new surroundings, their apprehension will ultimately turn in to terror - with violent repercussions. Jason Hawes and Grant Wilson, along with other team members who belong to the group they founded, The Atlantic Paranormal Society (TAPS), investigate locations of interest by using electronic equipment which they believe is capable of detecting paranormal activity. TAPS' equipment includes digital thermometers, EMF (electromagnetic field) scanners, infrared and night vision cameras, handheld digital video cameras, digital audio recorders, and laptop computers. Ghost Hunters: Live from ''The Stanley'' Hotel - Buy it here now! In addition to the success of the television show, TAPS have ventured into the venue of radio broadcast hosting a 3 hour weekly show called "Beyond Reality". New episodes are broadcast every Saturday from 7 - 10pm EST, though sometimes may skip a week with possibilities of the hosts being busy with other ventures. The radio show goes into topics in a vast array of areas such as cryptozoology, spiritualism, UFO's, and ghosts. The show is hosted by Grant Wilson & Jason Hawes and includes guest appearances from other TAPS members and special guests like John Zaffis, Rosemary Ellen Guiley, Chris Fleming and others which specialize in certain fields. Ghost Hunters has attracted various critics and skeptics, such as Joe Nickell who has criticised their methodology in the Skeptical Inquirer. Many other authors, such as Joe Nickell and Lynne Kelly question the scientific validity of the investigations conducted by the TAPS team, its methodology, and particularly its use of instrumentation, as there is no scientifically-proven link between the existence of ghosts and (for example) cold spots or electromagnetic fields (which Hawes and Wilson say are not necessarily paranormal). As Grant and Jason say "If you set out to prove a haunting, anything will seem like evidence. If you set out to disprove it, you will end up with only those things you cant explain away.". Others, such as Allison Smith contend that the show's claimed evidence of the paranormal could be easily hoaxed. With each new season, critics of Ghost Hunters continue to publish skeptical analysis and theories on the Internet, often employing frame-by-frame analysis of episode footage which they believe debunks the show's findings. Ghost Hunters International the spin off series which premiered Wednesday, January 9, 2008 and features investigators Robb Demarest, Shannon Sylvia, Barry Fitzgerald (who appeared in the Summer 2007 Ireland episodes of Ghost Hunters), Andy Andrews, Brian Harnois, and Donna La Croix. The format is similar to Ghost Hunters but features investigations in various locations around the world. In mid season one, Donna, Brian and Shannon have departed the show and have been replaced by Dustin Pari and newcomer Brandy Green. 2006 Halloween Special - Ghost Hunters Live - aired October 31, 2006 at 11PM EST. It was a six hour broadcast originating from The Stanley Hotel in Estes Park, Colorado. ECW Superstar CM Punk joined the Ghost Hunters throughout the investigation. The viewing audience was able to interact with the team via PDA/cellphone text messages. 2007 Halloween Special - Ghost Hunters Live - aired October 31, 2007 at 9PM EST. It was a six hour broadcast originating from the Waverly Hills Sanatorium near Louisville, KY. Joining the team was guest ECW Superstar Elijah Burke. The episode was hosted by paranormal investigator Joshua Gates from the show Destination Truth who was stationed in an on-site "interactive center" which posted real time photos to SciFi.com. Also employed was a "Panic Button" message feature where viewers could alert the investigators of any strange happenings as they occurred. Simultaneously, SciFi.com ran an online poll, "The Hunt for the Hunter", Where viewers picked the new TAPS member who chosen among three finalists, Patrick Clark, Mark Fusetti, and Deanna Hoffman. Mark Fusetti was picked as the new TAPS member during the review of the Halloween Special on November 7th. 2008 Halloween Special - Ghost Hunters Live - will air October 31, 2008. TAPS conducts a seven-hour, live, return investigation of Fort Delaware with guest host Joshua Gates of Destination Truth. Other guests are Robb Demarest and Donna La Croix from Ghost Hunters International and Amanda Tapping from the Sci Fi show Sanctuary and Stargate SG-1 television series. Blog Critics of the show all wish Brian Harnois would return to the show and people like Dave Tango - Investigator/Evidence Analyst Kris Williams - Investigator/Evidence Analyst/Historical Researcher/Case Manager Heather Drolet - Investigator/Case Manager Mike Dion - Investigator/Director Kristyn Gartland - Investigator/Case Manager Jen Rossi - Investigator Joe Chin - Investigator-in-training Dustin Pari- Investigator/Film tech should leave the show. Many feel that they are not ghost hunting material. PSYCHIC KIDS: CHILDREN OF THE PARANORMAL is the intense journey into the lives of children who live with gifts they frequently see as burdens. With the help of caring experts, they begin to understand and manage their powers, realizing their potential both as psychics and human beings. Psychic Kids is a paranormal television series broadcasts on the A&E television network, by Chip Coffey, and debuted in summer 2008. The first episode is titled "Fear Management." Later episodes feature content in correlation with another A&E paranormal series, Paranormal State with Ryan Buell. Some years before the series' development, A&E aired an episode of Biographies called "Psychic Kids" about children and young people with the same abilities described in the show (e.g. crystal children). Psychic Kids: Children of the Paranormal DVD Set - Buy it here now! Many Blog Critics feel that Chip Coffey's magnificent talents are being wasted on this show and they would love to see him join the Most haunted team. This is where many feel he would do his best and make the show a bigger success then it currently is. Ghost Hunters International, (aka GHI), is a spin-off series of Ghost Hunters that airs on the Sci Fi Channel. Many fans of the show love Brian Harnois and would love to see him return to either GH or GhI. Of course he is sadly missed. Blog Critics feel that s far as Donna Lacroix and Shannon Syliva many wish they would actually leave the ghost hunting to people like Jason, Grant Brian, Steve and Robb Demarest. Many Blog Critics of the show felt they were there just for the female factor. The series debuted on January 9, 2008. The show follows a new team of paranormal investigators as they travel internationally, applying their principles of scientific debunking to some of the world's most legendary haunted spots.